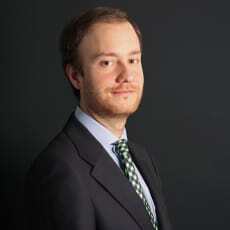 David López Velázquez is a senior associate of Uría Menéndez. He joined the firm in 2006. From September 2012 to September 2014 he headed up the Mexico City office, where he provided advice and guidance to clients with businesses in Mexico. David focuses his practice on commercial law, mainly advising clients in the media, IT and e-commerce sectors. He also specialises in banking and finance law, and has been involved in major M&A and financing transactions. In relation to gambling matters, David advised national and foreign operators for their licensing process, the state-wide regulator and a state-owned operator in a variety of matters.